Resilience is how people and organisations respond to challenges that they are faced with. The ability to overcome, to recover and respond positively to tasks and any potential changes. Within the workplace, resilient employees can deal with the demands placed upon them much more efficiently, being able to manage well with constantly changing priorities and heavy workloads. The ability to cope well with pressure and uncertainty relies on developing positive thoughts, behaviours and actions. It is not an instinctive quality where people either have it or they don’t, it’s something that can be learned and developed in everyone. Organisations are also able to develop greater resilience, but how? Two important ways are through planning and foresight, but the most important is that of their people. Ensuring as a company, you have resilient teams and employees means that in the face of changes and challenges, the organisation will be able to function better. However, some may then determine that being resilient means being problem free, but that is not the case. 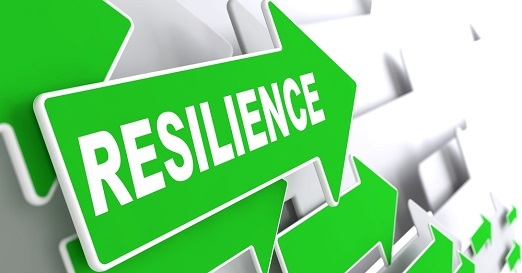 The qualities of a resilient person enable them to respond better to any changes or challenges they may come across, whether that be personally or within the workplace. Those who are resilient can be confident in their abilities and are then willing to take needed action when faced with difficulty. Managers have a very important role in ensuring their teams have a positive attitude towards leaders and managers. This helps their staff to have a ‘will do’ approach. Managers can also reduce and potentially eliminate the behaviours and events that may take place in the workplace for which resilience may be needed. So, managers need to ensure they create a positive and supportive working environment for their staff. Employee’s need to build strong connections and relationships with each other. Effective communication needs to be included within colleagues. Resilient workers will do what they can within the workplace to help others achieve success, being team-players and aiming for a win-win with their fellow employees. Resilient employees consistently build trust with others. Company changes is something that both organisations and its employees need to prepare for. Change is inevitable within a business. Within organisations, resilience is the ability to anticipate change, prepare and respond accordingly. It’s important to develop excellent habits and deliver continuous improvements for the business and its staff by building capability across all aspects of this business. Customers can be at times very challenging to handle. However, the need to build resilience in handling difficult customers is so important. Handling customers in a positive way can make all the difference between having a satisfied or unsatisfied customer. So, what do we need to do in order to build resilience? Communicate and interact with your fellow colleagues. Good relationships with others are vital in order to have a positive working environment. Treat challenges that arise as learning processes. Use problems as opportunities to develop the skills in order to build on your achievement. In the face of success, celebrate it! Train your mind to look at the positives rather than dwelling on the negatives. Develop realistic and reachable goals. Work towards them each day, taking one step at a time. Always act positively, even if it doesn’t resolve the problem. Build your self-confidence. Believe in your ability to solve problems and trust your decisions. These aren’t the only ways you can strengthen resilience within the workplace. But the key is to identify the ways that will work well for you personally, your organisation and your staff. https://www.lblskills.co.uk/training-courses/personal-resilience/ – This workshop highlights how to successfully achieve this using tools and techniques. It also identifies and examines the things that may damage resilience within a workplace.